To master the art of paintball, you need to treat the game like a true professional. In other words, those who are serious about their paintball game are all fully equipped with the necessary tactical gear. One of the most crucial tactical gear that you should always have is a paintball vest. These vests look extremely stylish,and they are extremely beneficial. You will enjoy extra space for your ammo and magazines, and your tactical vest adds an extra layer of protection against paintball hits. That way, you have all your equipment in order and stored in its place. Once you have found the perfect mask that fits your playing style, you should focus on adding a tactical vest to take your playing experience to a completely new level. Apart from that, you should also consider tactical pants and shoes for added comfort. If you invest in a quality vest, you will be fully padded, and you won’t feel any hits during game play. Moreover, with all the pockets, you will be able to carry more magazines and store your necessary equipment. Below you can read everything you need to know about the essence of using a paintball vest while you play. Additionally, you can read about all the best tactical paintball vests on the market today. Feel free to browse through this buying and see if you can find a vest that fits your needs and playing style. The GZ XINXING is a highly customizable tactical vest designed to offer superior protection and comfort. It is a professional-gradevest made of tough nylon mesh. This material provides top-rated airventilation capabilities andyou will love the cooling effect it offers. Six tension side straps and the two long Velcro strips allow you to fully adjust this tactical vest to your desired fitting. If your shoulders are bigger or smaller, the Velcro strips are the handiest features to help you achieve snug-fit wear.Adjustability is top-notch, you can adjust both the length and the girth sizes for optimal mobility. After zipping the vest using the front zip, go ahead and use the included piston belt for additional protection. Anyone whose weight is between 100-270lb can comfortably use this vest. It is a perfect game outfitf or adults and comes in S-XXL sizes. Storage space for all your tools is sufficient and the vestinterior has well-designed document pockets both on the left and right. On the left side lies a pistol holster that perfectly fits medium-framed pistols. On the right side are three ammo pouches, shooting pad plus a large shell carrying pouch. As if that is not enough, this vest includes 3 adjustable mag pouches for your pistol. Two mental D-rings can be used to attach equipment such as carabiners. The GZ XINXING is simply a one of the highest rated tactical vest worth going for, thanks to the reputable State-owned China Xinxing Guangzhou Manufacturers. To cap it all, it comes with a 30-day Money Back Guarantee, therefore, you will enjoy the best bang for your bucks! Maddog has now come up with an excellent paintball vest that prevents injuries and improves your playing experience. If you love a lightweight yet excellent body armor, then Maddog Padded Paintball Chest Protector is the suitable choice. This unit boasts of an amazing new line of chest padding. It is unmatched fun without pain with Maddog, and anyone will appreciate the unique combination of both the comfortable and protective features of this vest. It is an all-in-one tactical vest designed to make the paintball warrior happy. This outstanding gear piece features both front and back protection that allows you to stay in the field for hours and hours. The best part of Maddog is its customizable pockets that allow you to maneuver your tools to your own liking. Now there is no need to leave your valuables for everyone to see because Maddog designed the vest for you to comfortably store all your belongings without affecting your game play. Elastic shoulder straps, plus adjustable side straps are included for customizable fitting. Moreover, the adjustable straps help improve flexibility while distributing weight which is a crucial factor in outdoor sports. This Maddog vest is designed for all players, regardless of physical appearance. Additionally, it comes in reversible woodland camo and black so that you can choose your favorite. One most outstanding reason as to why to invest in a Maddog vest is because of the lightweight, yet durable padding that offers unparalleled protection for your chest and back. The tactical Barbarians is a budget-friendly model that will catch you by surprise, so fairly priced yet loaded with amazing features. It is made of high-density durable 600D Polyester material. The mesh design, plus the strong zippers are just but a few of the many robust features. 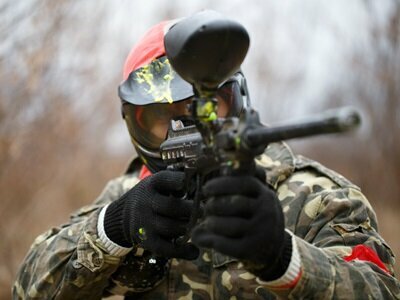 Gear up for the battle, paintball, airsoft, CS game or combat, knowing Barbarians got you covered. Customizable accessories include 3 small equipment pouches, 3 rifle magazine pouches, 1 interphone pouch, 1 pistol holster, 2 internal document pouches and many more. Plus, 1 pouch for your flashlight, 1 removable bullet holder, and the interior mesh pocket gives this paintball vest a nice touch. Additionally, 2D-rings helps you take care of your carabineers and other tools. You can adjust the Barbarian paintball vest at the shoulders using there inforced belt and the long Velcro strips. You can maneuver the waistline from35-inches to 49-inches until you find your perfect fit. Plus, the skid proof anti skid incorporated in the panel makes it a breeze when fixing your gun. A wide panel is also available on the right shoulder just in case you need more space. If you are the tool guy, the additional rear MOLLE panel has a modular webbing design that will accommodate whatever you throw at it. Spacious and flexibility is exactly what sums up the Military Barbarians. 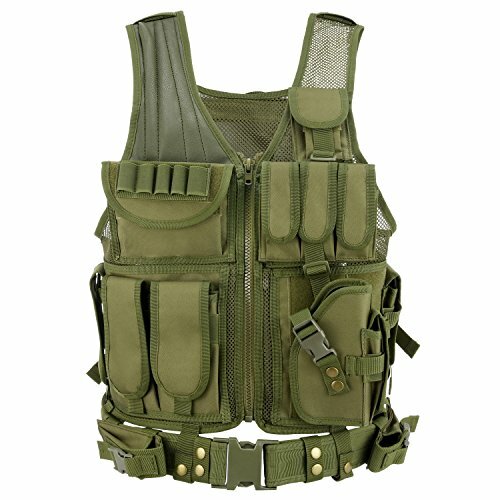 Overall, this is the best tactical vest for those that want space for everything and love highly customizable products. If you want a paintball vest that features excellent padding for full chest and back protection, grab the ALEKO PBTV52 Outdoor Armor. When setting out for outdoor sports, we all love to wear paintball vests that feature tough yet durable padding, which is exactly what ALEKO offers. Designed with high-density foam padding and high-end material, this vest with stands whatever comes its way. You will not only enjoy comfortable padding but also prevent possible injuries to your chest, back, and other upper body parts. It is one of the most sought-out tactical vests for outdoor sports. Most prominent features are the 5 detachable Velcro accessory pouches plus the one included in the back. These pockets make this unit highly customizable and allow you to take care of all your valuables. Velcro and buckle design are well incorporated into this vest to deliver the ultimate snug-fit protection. Additionally, the included accessory makes it easy to put on and take off this tactical vest. The design is amazing and it is extremely comfortable to wear. The chest measures 20 × 16inches while the back measures 20 × 18 inches, both of which deliver excellent movement ranges for most paintball vest enthusiasts. To sum it up, camouflage, lightweight, tough yet durable padding are what defines ALEKO paintball vest. Therefore, it is easy to recommend the ALEKO PBTV52 to both enthusiastic beginners and advanced players. This unit will give you the confidence you need to win the next paintball tournament. Pricing table with an Table ID of "2vest" is not defined. GXG Deluxe is a washable and removable vest that is lined with the contouring foam to offer optimal comfort, thanks to the brilliant hydration unit sleeve. This vest comes with a good layer that offers protection to your stomach and chest. When it comes to the capacity, you will have a movable radio pouch and ten tube holders to hold up to 68 C.1 Tank. The tank and modular pod make it one of the best units on the market. In fact, there will be enough storage space to keep the required tools that you will need in the field. There are pockets of different sizes and shapes made from the finest quality material. GXG Deluxe is extremely versatile and customizable paintball vest. The position and height of the pods can be easily customized, even without moving the vest around the body of the user. If you are looking for a vest that can carry heavier woods-ball, then this is your ideal pick. Besides, the vest consists of two vertical and four movable harnesses. Some of the key benefits of the GXG Deluxe are customizable, optimal comfort, and easy maintenance that offers the best protection. The vest has a large capacity and can hold up to six pods. The weight distribution is perfect around the vest. Features of the vest are contouring foam, hydration unit sleeve, removable, washable, movable radio pouch, and 10 rd tube holders that provide maximum comfort and convenience. Tippmann Padded Chest Protector is designed to offer both the confidence and protection to paintball players. It is made of the quality material that ensures top-notch durability. This vest will protect both your back and front. Moreover, your hands will be completely free. This unit offers maximum protection from any close-range shots and offer supper body coverage for your back and front. It does not only offer excellent protection but is also very comfortable to wear. Additionally, it is double stitched that enhances its durability and you can easily fold it as well. It is customizable,and you can adjust it to get the perfect fit for the game. In other words, this vest provides great combination of comfort and protection. 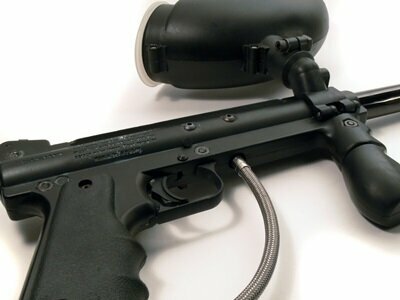 Tippman products are highly appreciated for some of its unique features and this unit is not an exception. It is made of padded foam and adjustable Velcro straps that offer the best fit without compromising the comfort. It has also added pads under the straps to offer maximum comfort in the ground. Some of the key features are fully adjustable and perfect fit, protection from the close-range shots, multiple materials, padded foam, double-stitched for the fold ability and durability. A few users have recommended it for the adults and medium-sized players. You should consider this vest if you are looking for a durable product that can offer both comfort and protection. If you need to carry a lot of tools, then this vest is designed for you. This heavy-duty vest offers the ideal protection for your back and front. You will also have the Velcro adjustment straps on your waist and shoulder to get the best fit. This vest is highly appreciated by users, thanks to the perfect fitting and versatility. You will have large front pockets to carry a lot of gears and will hold up to six pods. There are belt loops to secure your belt, and these loops provide the perfect protection. You will have easy access to the tank pouch as well. Moreover, there is high-quality interior foam for enhanced cushioning that allows you to carry many accessories in order to enjoy maximum benefits. Maddog Sports Tactical is a good option for different types of players. It has a large zipper pocket and pull-down map that you will find very helpful. It has four adjustment straps that offer proper fit to your frame. In addition to the straps, you will have six pods and an air tank holder. Overall, this vest provides excellent comfort without affecting your mobility in the field. Some key features top mention are the belt loops, easy access tank pouch, large front pockets, four pods, and interior foam. You will appreciate a lot of things about GXG Army Swat Paintball Airsoft Vest Camo. It comes with removable contouring foam that can be easily removed and replaced. When it comes to the straps, you will enjoy many straps for proper fit and right protection. There are shoulder straps, side straps, D-rings, and nylon loops to secure maximum protection. The tank holder is taller and wider than in other vests in this price category, and you will not have any problem fitting neoprene vover tanks or stubby style tanks. This vest is specifically designed for the paintball. 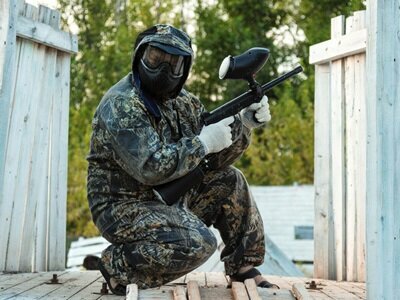 Therefore, you can expect some unique features to meet the specific needs of the paintball. It comes with contouring design wraps that will not only offer the best fit but it will also increase mobility and ensure equal distribution of weight as well. The Modular design enables you to configure the setup depending on the requirement for the paintball game. Moreover, you will be able to switch from the horizontal to vertical easily, and you can use the tank holder attachments whenever required. This vest is a great combination of many improved features that includes removable tank holder, modular design, hydration unit sleeve, contouring foam, movable radio pouch, larger tank holder attachment, extended attachment area, different types of the straps, and much more. This vest is extremely versatily and has been received excellent reviews for good coverage, quality material, adjustability, ideal comfort with adequate padding, great fit, and sturdy straps. 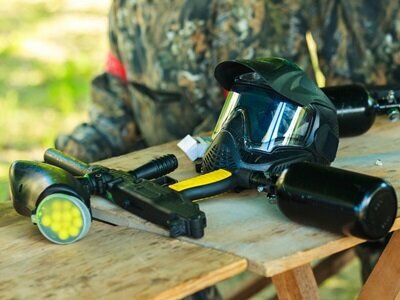 Paintball has been gaining a huge fan base and is becoming the go-to outdoor group activity. Its portrayal in various TV shows has only helped it become more popular. 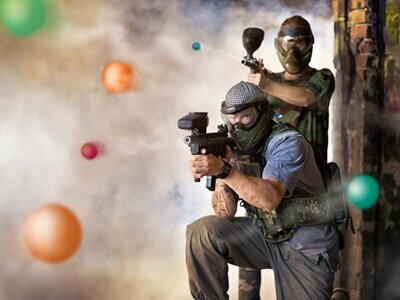 Paintball involves different groups battling each other in an area that has been set up to look like a battlefield and the ammunition used is paint. This game gives you the thrill of a real-life battle without serious danger. You can plan how you will go about it and come up with strategies to ensure that your team wins. The adrenaline rush you get while playing paintball cannot be compared to anything else. As with real battle, the gears you use are very important in paintball too. You should be able to carry everything you need, but still not be bogged down by the weight of what you are wearing. Choosing the right paintball vest can make a huge difference in the way you play paintball. So here are some points to consider before you buy a tactical vest for paintball. The vest you wear should be able to carry everything you need. You will be using some sort of radio for communicating with your teammates. 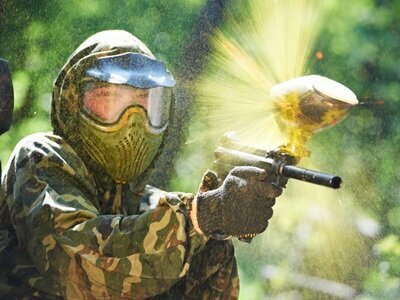 Paintball is mostly played outdoors for a long duration of time. This means you will also need to carry some source of hydration so that you don’t get dehydrated while playing. You can either buy a vest with a space to keep your water bottle or get one which has a hydration bladder built-in. And it is always good to carry a map of the area where you will be playing so that you can easily navigate, and you don’t get lost. This is especially important if the arena is large and you are new to it. You should also be able to carry with you your paint pods in your vest. There are different types of vests available and some have fixed storage space, while others allow you to customize the pockets as per your needs. If you are buying a vest with fixed pockets, read the measurement to ensure that you know that the pockets are exactly where you want them to be. Vests with Molle design let you customize the pouches and you can move the pouches according to your need at the time of playing. A paintball vest is just one of the many things you purchase for the game and you want it to last as long as possible. You need a vest which doesn’t tear when you crawl around in it,and it should live through some pretty rough use. The durability of the vest will vary from person to person depending on its use. If you are a regular player and play in rough terrains, you need a vest that can withstand all the outdoor elements involved in the paintball game. Whichever garment you buy, getting it in the correct size is important. The same applies to a paintball vest too. You need something in which you can move around comfortably and don’t feel restricted. Some companies make vests in only one size. If that is the case, wear it and try moving around as you would in a paintball arena to make sure the vest fits you well. The same applies even if there are different sizes available. It is always a good idea to get one with adjustable straps so that the vest can be used by others also. The vest should fit comfortably around your neck. You should be able to put it on and take it off without a struggle and the neck shouldn’t chafe when you move around. The location where you play paintball is also an important factor in determining what type of vest to buy. If you are playing indoors, then most probably, the area to move around is limited. But in this case, the paint pellets can hit you hard and you need a vest with enough protection so that you don’t get hurt. On the other hand, if the arena is outdoors, you need a vest in which you can move around easily. The vest should be lightweight and still be able to carry all your supplies. In an outdoor arena, you can compromise a little on the protection offered for more mobility. The main purpose of the vest is to offer you protection. Without a good quality vest, the paint will hit you hard and you will feel pain in the area of impact. You want a vest that lets you know when you are hit so that you know when you are disqualified. But at the same time, the hit should only feel like a nudge and not a punch. More protection should not mean more weight. You need a vest that protects you but doesn’t weigh you down and impede your ability to play. The vest should ideally have a camouflage design that enables you to hide properly and blend with the surroundings while you take an aim at the opposing team members. Avoid bright colors and any sort of shiny design in the vest. Even though you want a vest that is light-weight, it should still be able to carry everything you need. The light-weightiness of the vest should not be at the cost of its ability to carry weight. You need a vest made of sturdy and light-weight material so that when you carry heavy accessories with you to the field, the vest does not tear or get damaged by the weight. The design of the vest should also distribute the weight proportionally. It is difficult to run when you feel weighed down on one particular side. So, the construction of the vest should be such that all the pouches are spread around and not concentrated in one area. The weather also plays an important role while deciding what type of vest to buy. You need a vest that will keep you sufficiently warm in winter but still not make you feel extremely stuffy in summer. Look into the type of padding that you vest offers. A good paintball vest is all about balance. It should be light-weight and offer good protection. It should have multiple pockets, but their placement is important. Keep these points in mind when you go to buy a paintball vest. In summary, it is extremely important and beneficial to wear a paintball vest. However, it is not a good idea to rush-out and invest in the first cool vest you see. Therefore, the best solution is to investigate what is available and if the vest matches your playing needs. There are so many benefits of adding a vest to your tactical gear equipment and once you get used to wearing the vest, you will improve your game significantly. Just remember that it is crucial that you buy a vest that fits your needs and matches your playing requirements. 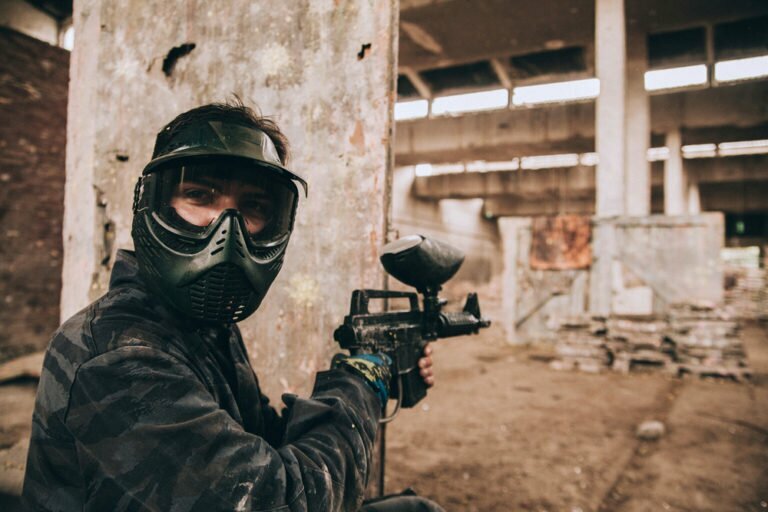 There are many factors to consider,and now you should have all the information you need to grab the best paintball vest on the market and improve your playing skills.